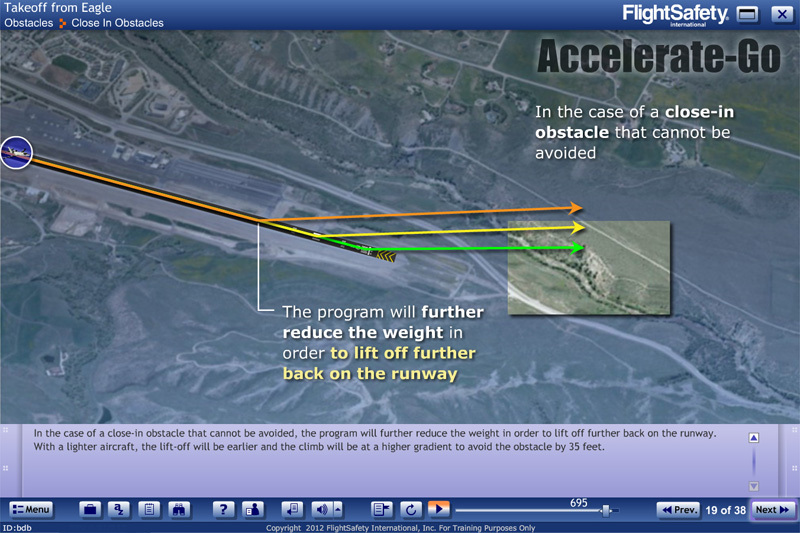 On most departures performance is not an issue, but extreme altitude, weather, and obstacles could cause the need for alternative planning. 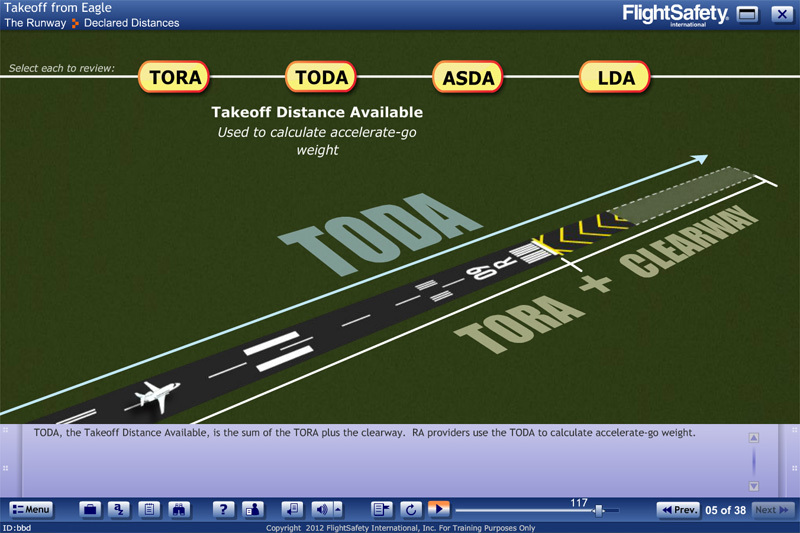 Runway analysis evaluates the interaction of aircraft performance and runway/obstacle data. 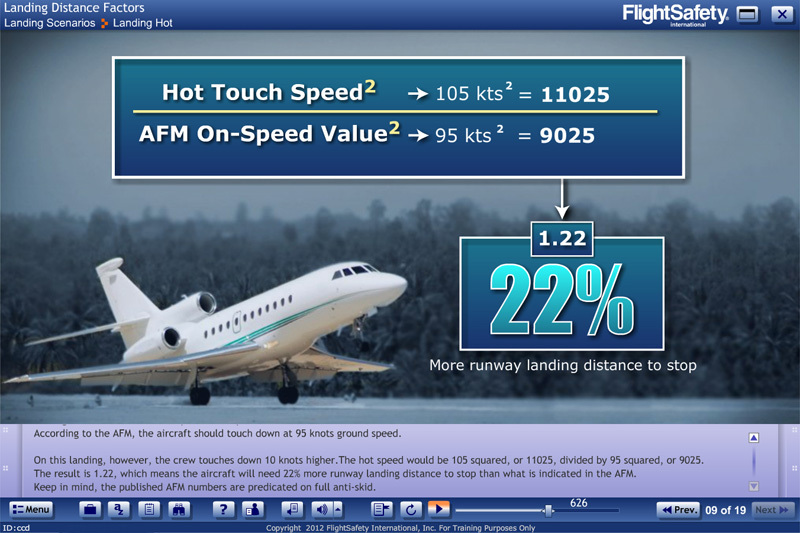 Your limiting weight for takeoff as well as landing may be determined by using your aircraft's AFM performance section, the particular characteristics of the runway in front of you, and an obstacle database. 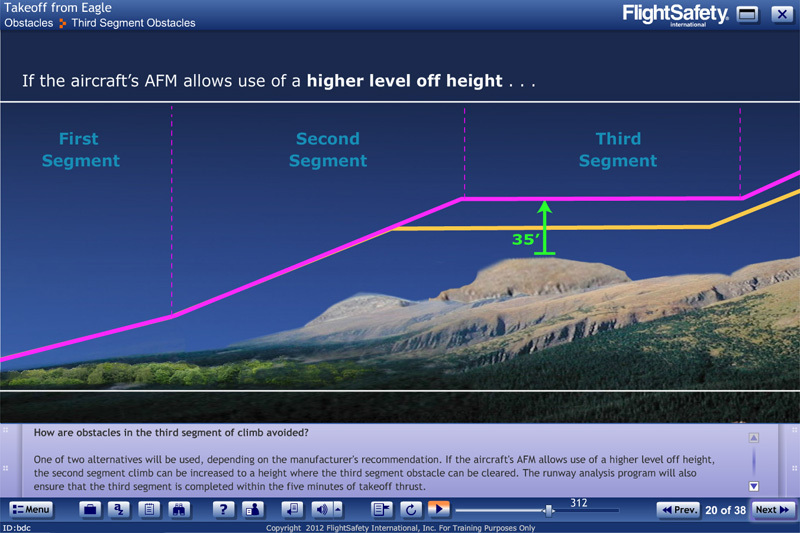 Rogers' Tips: hear valuable tips throughout the course from Rogers Hemphill, a well-known authority on the subject of runway analysis and co-founder of the Aircraft Performance Group, Inc. (APG). Rogers has provided flight planning, takeoff analysis, and airport data to the aviation industry for more than 25 years.